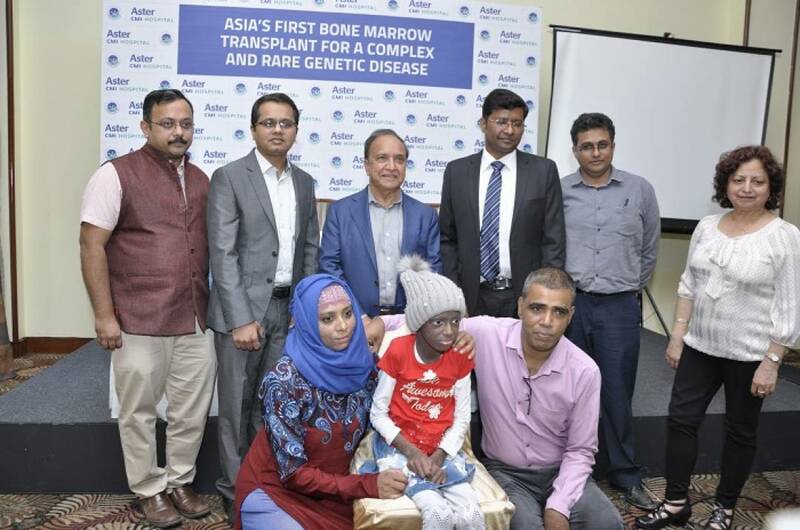 A 13-year-old-girl from Mauritius, suffering from rarest of the rare Complement Deficiency genetic disease, C1q deficiency since the age of 2, became the first teen in Asia suffering from this complex condition to receive a bone marrow transplant. Thanks to the team of efficient doctors at Aster CMI Hospital, Bangalore for granting her a new lease of life. She was suffering from repeated skin rashes and kidney ailments for over a decade and also developed difficulty in walking and stiffening of lower limbs. Until the transplant, she was on multiple immune-suppressants to control the autoimmune condition – Systemic lupus erythematosus and was being treated with over 10 different medications for her severe skin disease, kidney disease and pulmonary hypertension. Not just she was wheelchair bound, but also had very high risk of permanent renal failure till the Pediatric Immunology department at Aster CMI Hospital diagnosed her to have a very rare genetic disease – complement C1q deficiency as confirmed by the genetic studies conducted at the hospital. She was advised to undergo a bone marrow transplant and her father was found to be a full HLA match. He donated his bone marrow and the teen has been cured to lead a normal life now. Currently, she is under medications and would require close follow-up for the next six months. Till now, less than 10 such cases have been successfully transplanted in the world. The hospital highlights the need to increase awareness on Immune Deficiency.